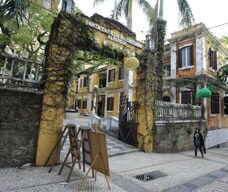 St. Lazarus District has served as a base for the development of Macao’s cultural and creative industries in recent years. Located in the district, Albergue SCM features a small courtyard and two century-old Portuguese buildings with yellow-hued walls. Two old camphor trees tower over the tranquil courtyard. Many of the poor and refugees lived here during World War II thus it came to be known as the ‘Shelter of the Poor’. It was also known as the ‘Old Ladies House’ as it once served as a refuge for elderly females. 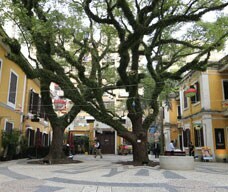 Today, its galleries house various local art and creative design exhibitions as well as a Portuguese restaurant. 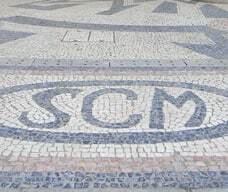 Albergue SCM also holds poetry-reading sessions and art seminars to enhance local art, cultural and creative development, imbuing this historical monument with a unique vitality.